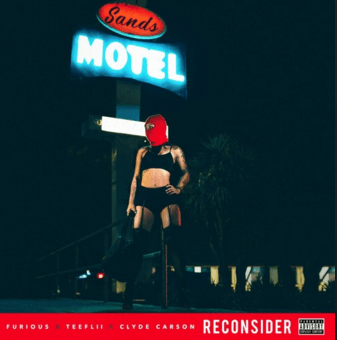 Furious recruits Clyde Carson & Teeflii for the new single "Reconsider." It’s been a while since we last heard from Bay Area’s Furious, but with a new album set to drop on March 25 called Journey Home, that all changes here today. Better late than never, Furious decides to liberate the lead single off the album called “Reconsider” featuring TeeFlii & Clyde Carson. Over some upbeat, trance-inspired production, Furious delivers a club-friendly record that finds him “reconsidering” leaving the club with your girl in the process. Take a listen and let us know what you think. His album, Journey Home, is available for pre-order now on iTunes.